A basic run through of the methods of monitoring and evaluation. Why we need to do it and how to choose the right method for you. Suitable for people who have no knowledge of monitoring and evaluation. 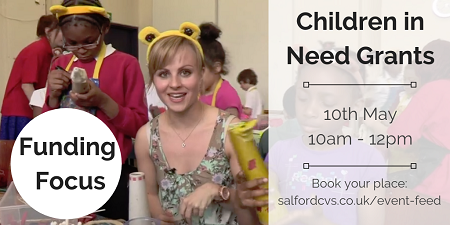 This workshop will focus on the Children in Need grants. BBC Children in Need awards grants each year to organisations supporting disadvantaged children and young people in the UK. We will look at how to tell a compelling story of the difference your project has made. The workshop will look at the language, methods of communication and monitoring and evaluation. 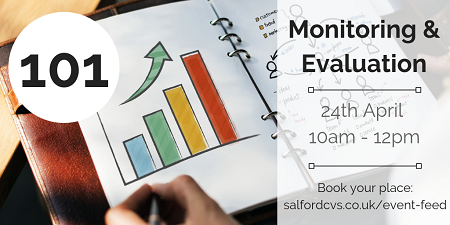 Salford CVS provide a variety of training courses and workshops, to aid trustees in their personal development and in the running of organisations. 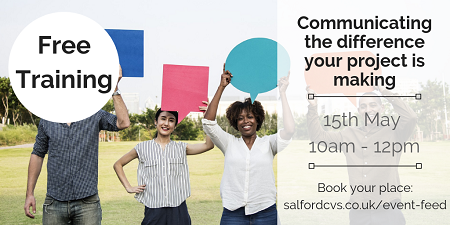 These courses can be accessed free by any trustee supporting a charity; small community group, voluntary sector organisation, social enterprise or faith group in Salford. 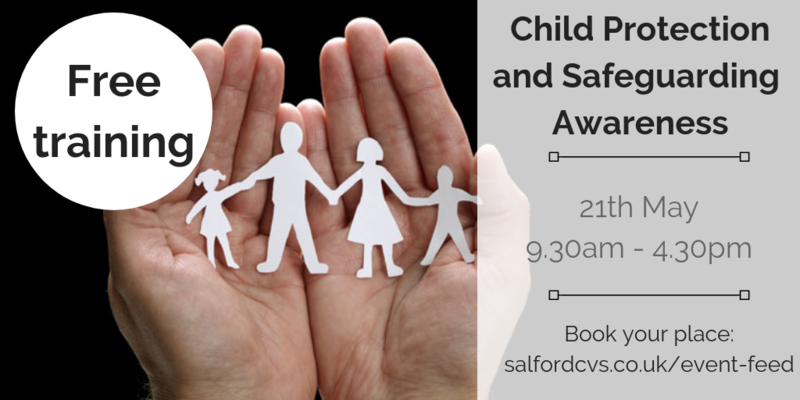 In addition to Child Protection and Safeguarding the course will explore the links between Child Protection and Adult Safeguarding. 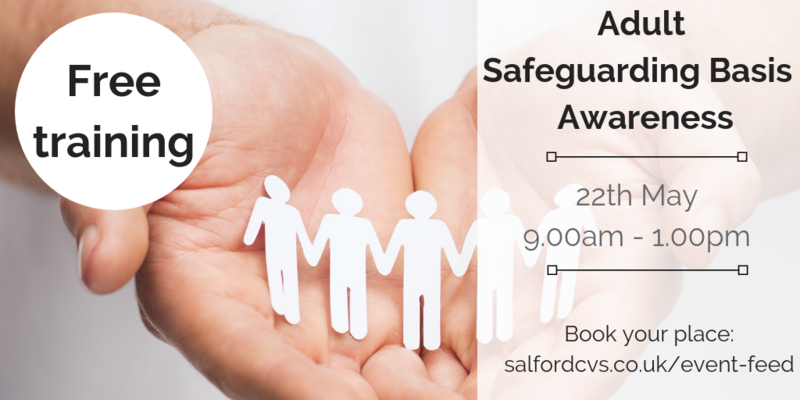 The course we deliver is a Basic Awareness Course and is in line with the competencies for Alerters/Level One as defined in the Salford All Agency Safeguarding Adults Competency Framework. 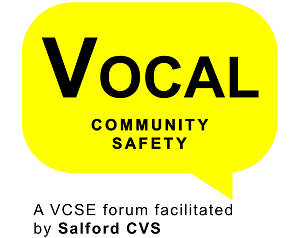 We have recently reviewed the course and it now includes an exercise on the combined Safeguarding Standards for the Community and Voluntary Sector. 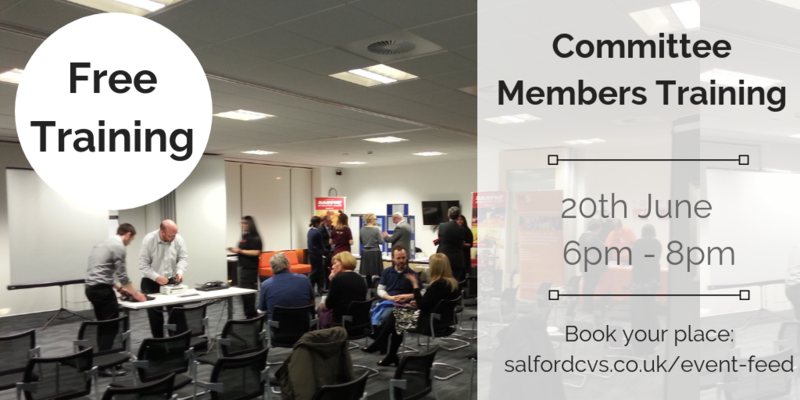 This year our Salford VCSE Conference is being held on Thursday 23rd May 2019 at the AJ Bell Stadium. 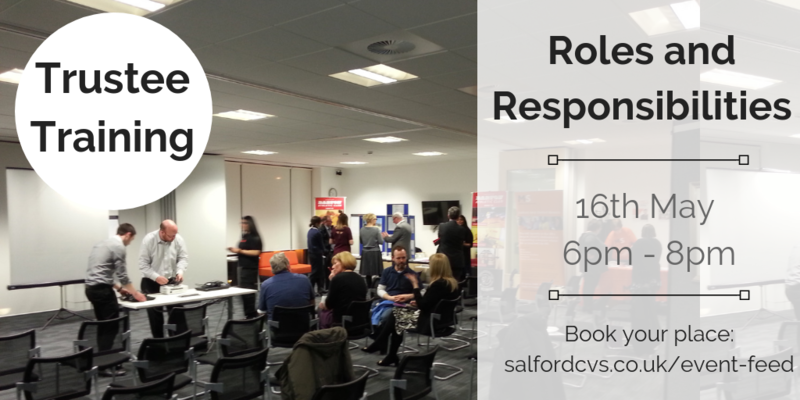 We will be exploring the theme of 'Radical Roots to Practical Action'. A basic run through of the methods of monitoring and evaluation. Why we need to do it and how to choose the right method for you. Suitable for people who have no knowledge of monitoring and evaluation.